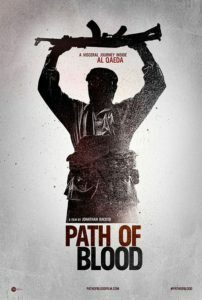 PATH OF BLOOD depicts Islamist terrorism, as it has never been seen before. Drawn from a hoard of jihadi home-movie footage that was captured by Saudi security services, this is the story of Muslim terrorists targeting Muslim civilians and brought to justice by Muslim security agents. It is a stark reminder that all who are touched by terrorism are victimized by it. A powerful and sometimes shocking cinematic experience, PATH OF BLOOD reveals how brainwashed youths, fuelled by idealism and the misguided pursuit of adventure, can descend into madness and carnage. The raw, unvarnished footage, to which the filmmakers negotiated exclusive access, captures young thrill-seekers at a jihadi “boot camp” deep in the Saudi desert, having signed on to overthrow the Saudi government. They plot to detonate car bombs in downtown Riyadh, become embroiled in a game of cat-and-mouse with government forces and, as their plans unravel, resort to ever more brutal tactics. Adopting a strictly objective approach, the film doesn’t editorialize and contains no interviews or “talking heads” commentary. The home video footage was shot by the terrorists themselves, allowing viewers to see them in all their complexity, while compelling audiences to draw their own conclusions. 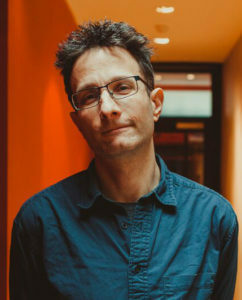 Director / Producer Jonathan Hacker is a documentary producer and director with numerous awards under his belt including the prestigious BAFTA and RTS awards. He joins us for a conversation on his frightening look at operational level of terrorism and the people who commit these heinous crimes. This entry was posted in BAFTA, documentary, Film Festival, Film School interview, foreign, misc by admin. Bookmark the permalink.